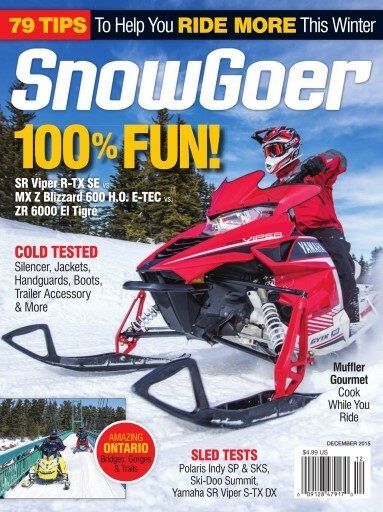 Fun trail sleds like the MX Z Blizzard, SR Viper R-TX SE and ZR 6000 El Tigré. Testing jackets, a silencer, handguards, boots, a trailer accessory and more. How to cook a meal on your sled while you ride and tips to help you ride more this winter!